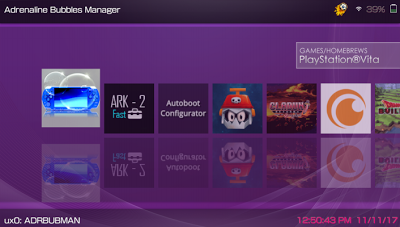 Today developer OneLua Team has released a new version of Adrenaline Bubble Manager V4.07 for the Playstation Vita. Check out the release notes, changelog and the download link provided below. Now the iso / cso / pbp list shows the installed content, if the game is already installed as a bubble, the title will be highlighted in green. Now you can choose between sorting the list from the last Installation, Title or Modification Date.